So That’s Why It’s Important To Drink Water! I have always struggled to drink the recommended water requirements in a day. I have to make a constant effort to remember to drink water. 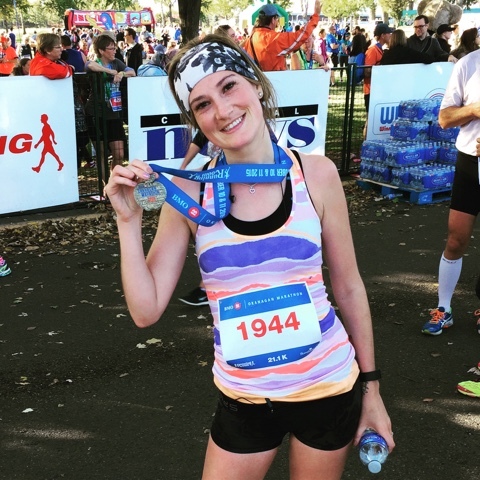 The last week I have made sure to follow this article I read about marathon training and have followed the water requirement completely! Surprisingly enough this has helped me feel better, look better and increase my ability to run without cramps! Who knew water was this powerful! This article states that you should drink half your body weight in ounces. It sounds a lot harder then it is! I have to drink 65 ounces, which works out to about 4-5 bottles of water per day! I make sure that I have a big bottle of water with me all the time and as long as I do it I go above and beyond my water requirement. I went and bough a big glass water bottle and fill it up to make sure I am not killing the environment on my newly discovered love for water. My tip to you is to do the same! Keep water with you, its easy to access and if you bring your own bottle you can just keep filling it up as the day goes on! 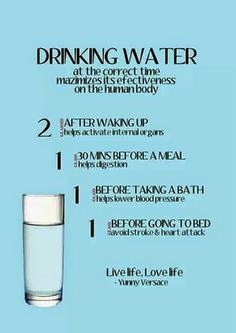 I also found this cute little guide about when to drink water to make it more efficient! I didn’t know that timing was important. It makes sense though, how can your body be expected too just get up and go in the morning. I like this picture to because it tells you why its important to drink water at those times. Have a look it helped me make hydration progress! Today we ran 4.3km in 21 minutes. That’s pretty good right? We didn’t push ourselves to hard but kept a good comfortable pace with no walking breaks! I am feeling so great about this! I really feel like I will be able to hit my goal in this upcoming race! It is within reach and I still have 11 days to go! It is such a great feeling! My quote for today will definitely be one “Take care of your body, and it will take care of you.” I found this one on Pinterest and love it! 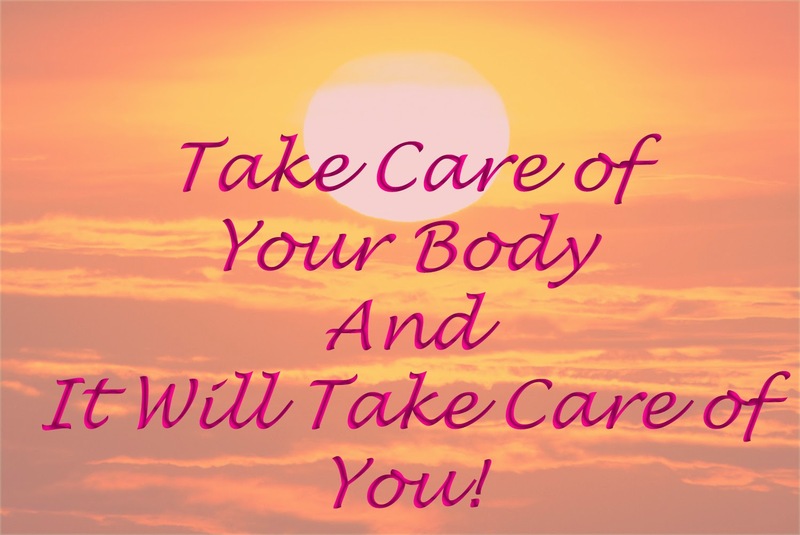 It is so true that once you start taking care of your body it does take care of you! Tomorrow we are going to hopefully run a full 5k in 25 minutes! Wish us luck!